Foil | GarCo Manufacturing Co., Inc. Please contact us to discuss your requirements and we can recommend which product(s) are best suited to meet your needs – e-mail or call 321-868-3778. 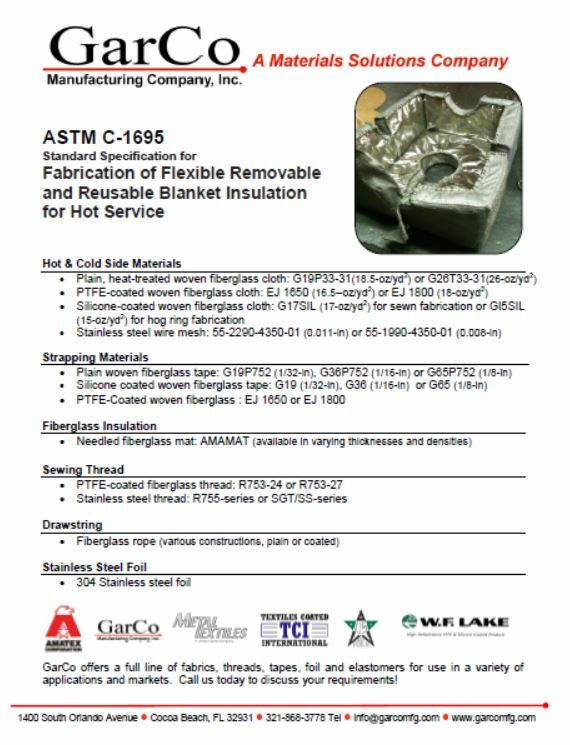 This entry was posted on February 12, 2014 by GarCoMfg in ASTM C-1695, Foil & Wire Mesh, Insulation, US Foils and tagged Aluminum, ASTM C-1695, Copper, Foil, Inconel, Stainless Steel, tin, US Foils.